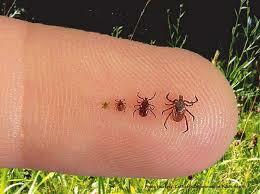 Lyme disease is popping up more and more as a hot topic in the medical community. It is a highly debated and incompletely understood condition that seems to have been rearing its mercurial head with increased frequency of late. And though it is famously hard to identify for certain, more of our patients are walking through our door with this diagnosis. Luckily, practitioners of Chinese Medicine have some very effective methods that we can use to help patients cope with the side effects of Lyme. Acupuncture can provide support for each individual constitution and promotes the body’s general capacity to heal itself. The stronger the body, the more able it is to defend itself from disease. We treat chronic Lyme disease by reducing inflammation, making it easier for an injured immune system to get back on track. Chinese Medicine always examines the presenting picture and the practitioner addresses the patent and how they present that day. Each and every individual is treated based on their unique symptoms which change as time progress. This is why no two treatments are exactly the same! Acupuncture can be especially helpful in recovery as it can help boost the immune system, relieve pain in the joints and muscles and can help with chronic fatigue and depression and mood changes. 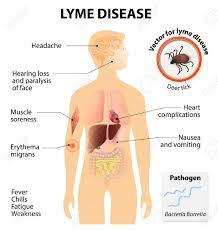 In Traditional Chinese medicine, Lyme disease falls under the greater classification of “Gu Syndrome” which has been successfully treated for thousands of years with Acupuncture and herbal medicine. “Gu Syndrome” is categorized as a kind of internal condition that is hidden inside the body, which in the case of Lyme disease is the bacteria (spirochetes). – Should I go into Gu Syndrome or is that a rabbit hole better left untouched? Please reach out if you or someone you love is struggling with Lyme disease. We are here to discuss their unique experiences and help get them on a path toward healing and optimal wellness. -Dr. Sarah Heslip D.A.C.M, L.Ac.